Take a look at the sign in the above photo. PARKING COSTS $82 IN ATLANTA??????? 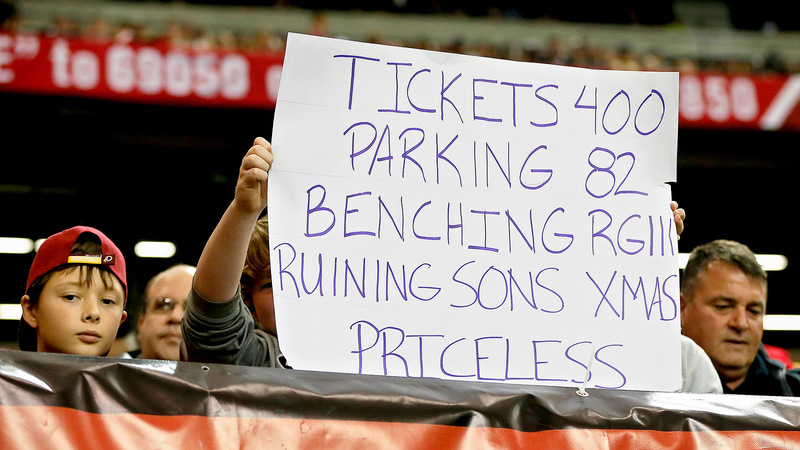 Side note, we’re not sure why RG3’s benching would ruin the kid’s Christmas. Wouldn’t the Redskins’ record do that?